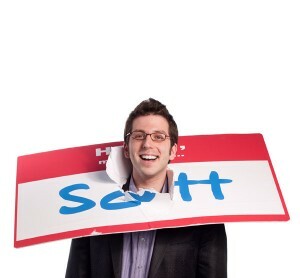 How to Keep Your Employees from Wanting to Kill You - HELLO, my name is Scott! 1. Let people finish what they have to say. Most interruptions are derailments, and as such, most interrupters are avoided. PRACTICE: On a daily basis, challenge yourself to play the game called, “Let’s See How Long I Can Go Without Interrupting People.” Actually keep score. See if you can beat your personal best each day. Then, every time you DO interrupt (unnecessarily, that is), drop twenty bucks in a jar. Get the whole office involved in the game. Then, at the end of month, use the money to have a BBQ. Or donate it to charity. That should put an end to the interrupting. 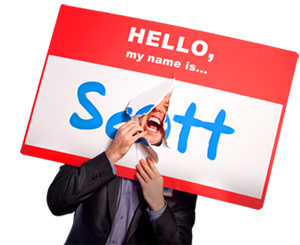 Does your conversational narcissism irritate people? 2. Listen with the ear of your heart, not the pointed finger of your ego. Judgmental attitudes stop commutation before it starts. PRACTICE: Post a sticky note on your desk that reads, “Are you listening with your heart or with your ego?” This serves two purposes: (1) A visual reminder of what to listen WITH during your conversations, (2) An accountability measure to assess your listening practices after your conversations are through. Then, should you catch yourself listening more with your ego and less with your heart, here’s what you do. Take ten extra minutes before clocking out to replay key conversations in your head. Then honestly ask yourself, “How would my heart have listened in that conversation if my ego wasn’t engaged? Are you monopolizing the talking or the listening? 3. Recognize employee contributions and ideas. According to Dilbert, most bosses will listen thoroughly to your input, thank you for your suggestions, and then do exactly what they planned all along. This will force you to listen FIRST and hear everyone else out before stating your position. Yes, it takes self-control; but you never know – you may hear something that adds to, modifies or betters your idea. Is your listening all show and no go? PRACTICE: Take a few breaths. Recognize that someone has an opinion, even though it may not be your own. You don’t have to agree. You don’t have to disagree. Just honor it. Practice a little Namaste Leadership. Honor = Respect = Trust = Increased Willingness to Ask More Questions. Otherwise you’ll start to resemble Dogbert, whose management strategy is, “I’m not going to comment – I’ll just look at you until you agree with me.” When you are emotionally involved in conversation, how well do you communicate? How will you keep your employees from wanting to kill you? For the list called, “33 Daily Practices for Boosting Managerial Magnetism,” send an email to me, and you get the list for free!